Welcome to our official webpage! Scroll down for the map, the link and photographs of the interior and our stunning terrace! The calendar of events for our week in Naxos will appear here as a LINK (coming soon) to a PDF file. * Please purchase Travel Insurance * This is so very important and required as it covers any emergency expenses you might need while abroad. I am your chaperone, but there is only so much I can do in case of major emergencies (or if airlines lose your luggage). As you document your adventure with us on your smartphone, please tag your images with our week’s hashtag #DivoraRomaMay15 and please link @DivoraRoma as well. Your images will appear in the Instagram section below and we’ll be able to look each other’s images up via the hashtag, as a group! So fun! 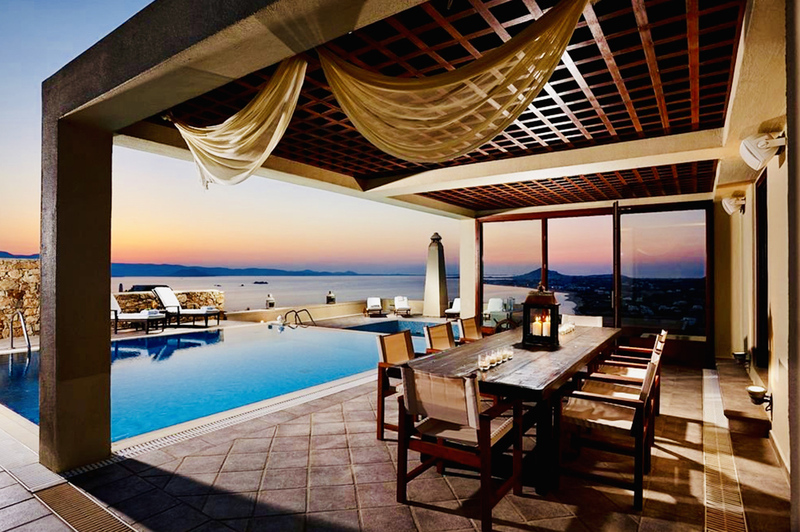 Our villa is a typical way to lodge in Greece. 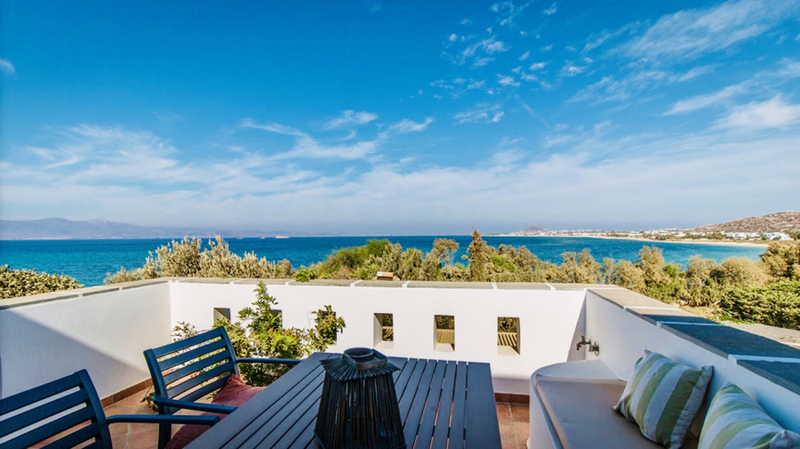 It is a complex of mini villas with a varying number of bedrooms and bathrooms, perched on an incline, with views of the Mediterranean. This places is beautiful! They have just remodeled it and have added a swimming pool as well, which is wonderful in case we didn’t want to walk 10 minutes to the beach, ha! ;) I think we’ll really enjoy relaxing here and making this our home base for the week! Our specific rooms will be assigned once Adonis and I arrive and organize, prior to your arrival. For now, click on any of the photographs below, to see the larger versions of this paradise! Leaving Naxos is a sad thing to talk about right now booooo, but know that check out is at 10am on May 22nd and that we will all be traveling to the airport at the same time that morning. Each of you may want to spread out and travel to different destinations, but we will all be leaving the villa at 10am at the latest. I have personally spent an incredible week there long ago, and have vowed to return ever since. My good friend and Greek citizen Adonis and his family, often travel to Naxos and agree with me about it's authenticity and beauty (and its delicious culinary opportunities!). He has partnered with me to be my eyes and ears and local expert on Naxos, for which I am so grateful! Naxos is an impressive island. It is part of the same group of islands of which the more famous Mykonos is a part of (the Cyclades), but it continues to maintain it's independence form the neighboring party scenes and high roller lifestyle. Naxos is a big island, with the most fertile land amongst all islands. Mt Zeus (the tallest mountain on any Greek island - 3,300 feet) helps trap clouds on the north side, dumping plenty of rain onto the rich soils which, in turn, spread over the vast plantations of vegetables, olive and citrus trees. The south shore is more dry, allowing for dramatic desert-like landscapes and imposing cliffs on the Mediterranean. 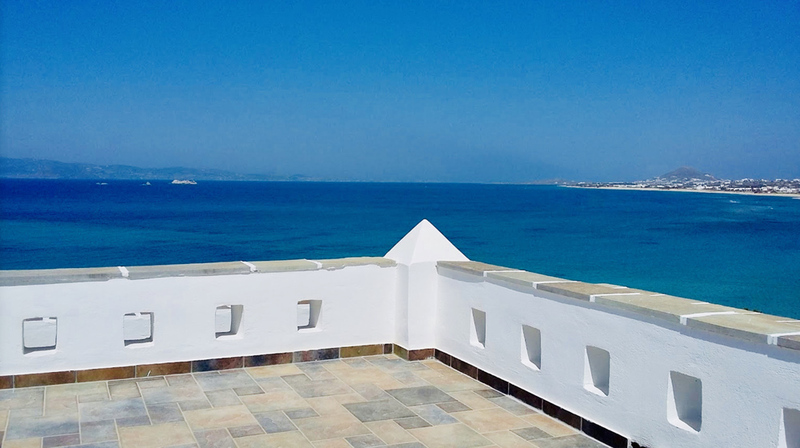 Naxos has a beautiful balance of wet (north) and dry (south) which has allowed for millennia of experience in the world of cultivating and herding (it has been continuously inhabited since 4000BC and continues to hold onto it's rich traditions and laid back, sloooooow paces lifestyle). 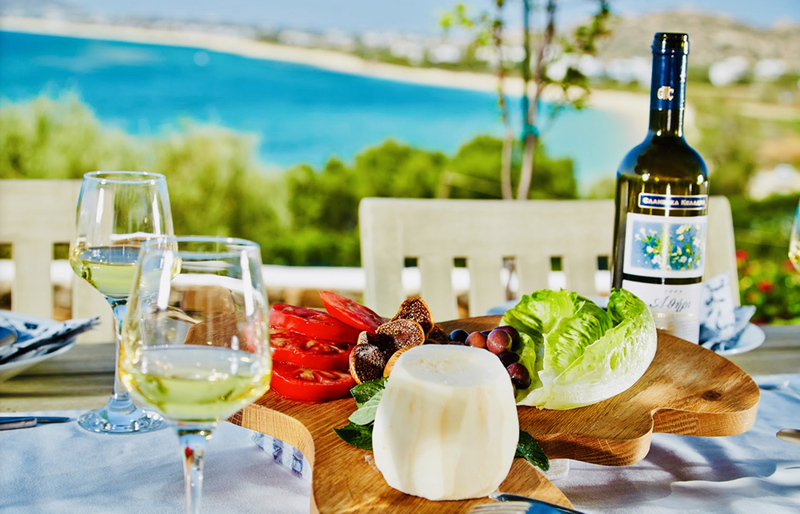 The island is well known for it's endemic lemon species as well as it's local sheep's cheese, not to mention the delicious bounty of fish provided by the fish Mediterranean waters. Esthetically, there is plenty of opportunity for exploration of the tiny old churches and monasteries in the island's mysteriously beautiful interior (as well as the iconic windmills). The beaches are some of the most beautiful in the group of islands, with far fewer people competing for space. A true unexplored gem! I am excited to explore the island and it's traditions and scenery with you! Use hashtag #DivoraRomaMay15 to see our images collected below! It protects you from cancellations, illness, any just about any other unfortunate and unpredictable issue. Click the image to compare quotes for the best possible coverage.